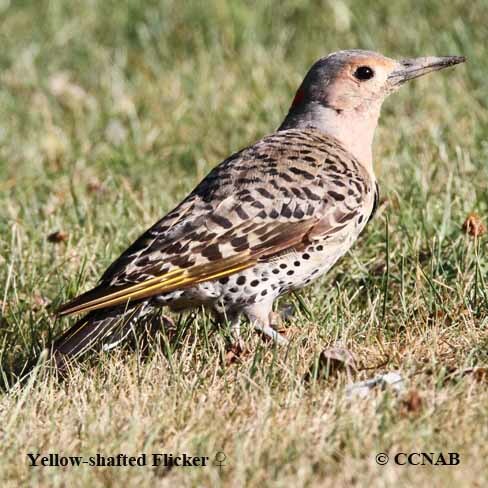 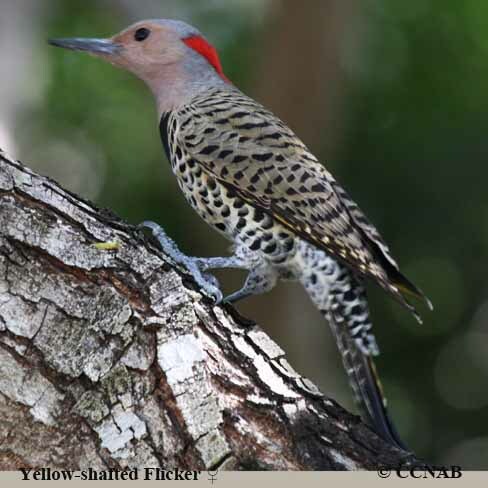 The Yellow-shafted Flicker is one of the larger members of the woodpecker family. 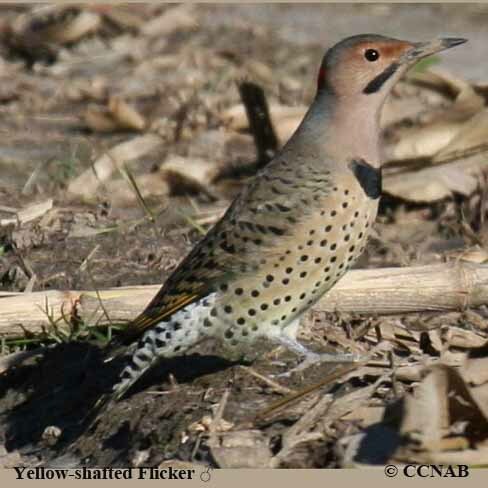 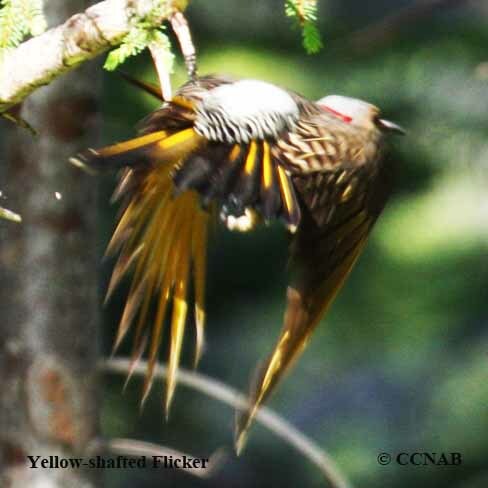 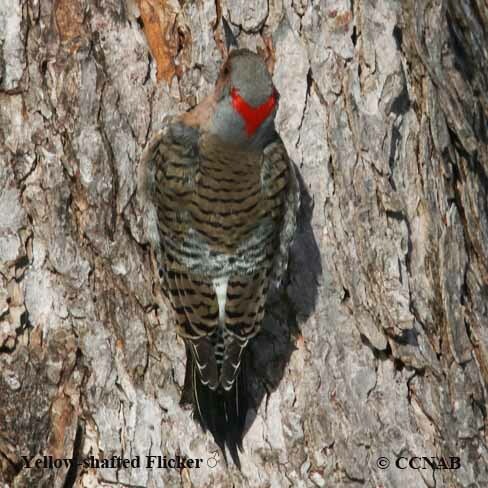 This bird is a race or sub-species of the Northern Flicker. 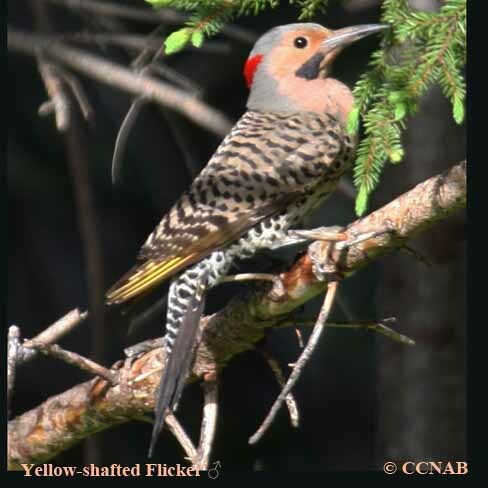 It is mostly seen in the eastern regions of North America, up through the northern taiga right into Alaska. 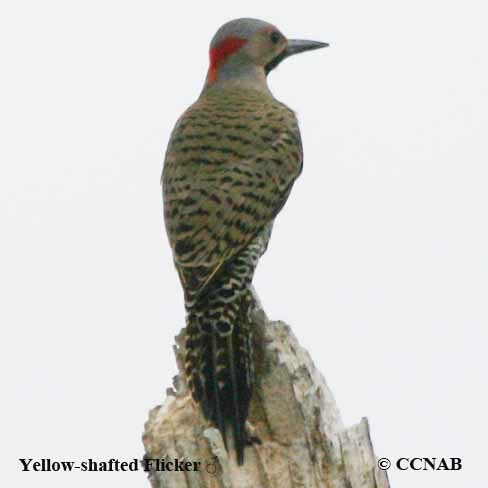 It is prey upon by the Cooper's Hawk because it feeds on the ground for ants in open areas.